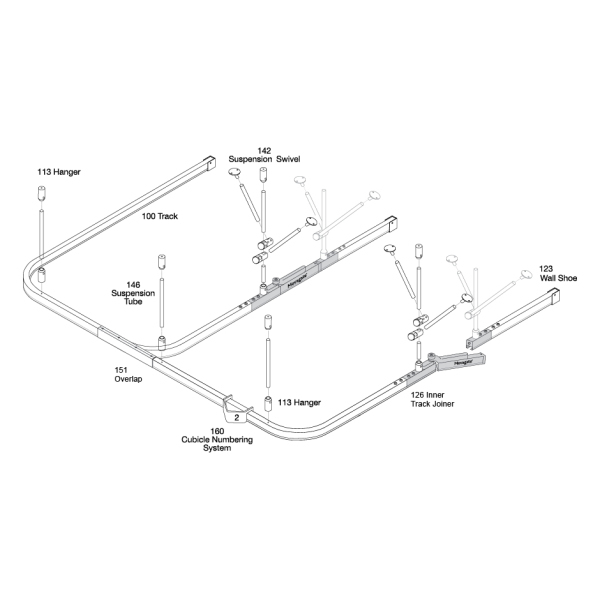 The Movagate is the ultimate solution for suspended curtain track system cubicle tracks where there is a requirement for a hoist. Designed with a robust sprung-loaded hinge and magnetic latch technology, the Movagate allows the hoist to pass swiftly and easily through the track whilst maintaining 100% patient privacy at all times. 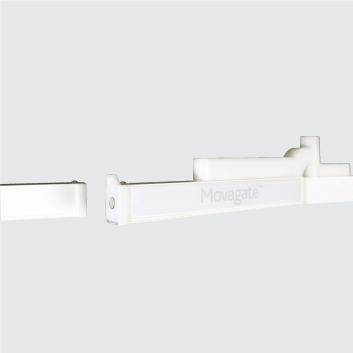 The maintenance-free Movagate is supported with white suspended V-hangers to ensure a firm and positive installation. White powder-coating incorporating Biosafe antimicrobial treatment. Movagate provides the ultimate solution. Due to the rigidity of the YewdaleMovatrack® curtain divider track system, this simple but effective solution is designed to be retro-fitted to any existing YewdaleMovatrack® arrangement or installed with a new installation of YewdaleMovatrack® curtain divider track. Available worldwide, Movagate has enabled Architects, Trusts and Contractors to approach both patient handling and privacy in a new light and is now revolutionising the design of patient areas.